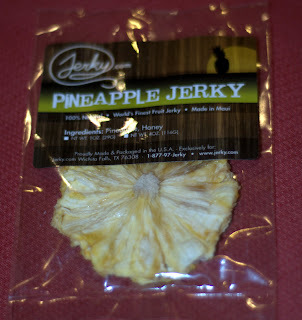 See Us Eat: Pineapple Jerky!?! My Dad once made a sort of bacon jerky, using brown sugar as the preservative. He had it sitting on a tupperware on the kitchen counter and I must have eaten a dozen pieces one day we were visiting. I'll have to see if I can get his recipe out of him. YEAHHHHHHHHHHHHH your back, I almost gave up checking to see if the blog was still active. Best wishes to your new baby.